noon to 4pm PST aug 9! i managed to get into the aug. 9 one for closer to an hour this time. i definitely appreciated the ability to adjust graphics on the fly; when frame rates plummeted due to whatever reason, it was nice to be able to change settings very quickly. still seems really cool! also, i have decided that i have an uncanny ability to pick the worst class/spec for PvE leveling in every game. i picked holy priest in WoW (followed by a non-PvP sub rogue), sage in TOR, and this time i want to play a minion master necromancer. beware: my choices are amazingly bad and should be avoided. I'm with you Arabeth. My choice seemed to be charactors. I was able to log on and create a char at about 3:15. I was constantly kicked from the server for about 30:00 minutes until I created a human. There seemed to be less Humans created than Char. I was able to play strait through until 7:12. I'll be on vent tonight, so we can meet up, if you like, or at least share names. The contact list will remain in place for launch. I've been playing a thief named Kira Nightshadow. So far, I've really enjoyed playing a engineer, thief, warrior, guardian and elementalist. I haven't tried the mesmer or necro yet. anyway, the game is really looking nice! i updated my graphics card driver since yesterday and that made a HUGE difference for me: i'd recommend that for anyone. i'm starting to get the hang of the interface a bit better. one thing that makes NO sense at all is that you can mail items to anyone in the entire world... but not your own alts. huh? so mailing to my alts is now a 2-step process: mail to guildie, who then mails to my alt. why not just mail to your alt? i like the "mail anywhere" idea a bunch, but it also feels a bit weird that i have to mail someone something when i'm two feet away from them... anyway, just another "two steps forward, half step back" sort of thing. ps. how can the contact list remain in place when the game is wiped? is there a separate contact list for ppl vs. characters? I think the reason you can't mail to your alts is because it's redundant. Your bank and collections tab is account based, all of your characters have access to your bank. What is the difference between pressing the "mail" icon and mailing or trading something to someone? It seems silly to make a trade button, since the "mail" button acts like a trade button. Plus you get the benefit of adding a note. If they made a trade button it would do exactly the same thing, but just be called "trade". The contact list is also based on account. Once you friend someone, you get their account name, so whatever character they log in as you will see. When your partied with someone, if they log out and then log another character in they will still be in your party. From what I have read they will not be wiping the game, they will only be wiping your characters. All of your account information and password will remain the same. They will continue to patch and fix bugs and add to the game. We won't be downloading another whole game, just the fixes and additions. but that's just it - it's not redundant! i have no idea where a bank is in the game (never got past level 4 in the test), but it didn't take long to find items on one character that an alt could use. plus, needing to physically travel to a bank is silly when i can just mail something instantly at any time. it feels like a way to force you away from what you're doing just to clear inventory, which is really weird because they've taken that aspect away from nearly everything else (there's a button that allows you to instantly teleport all crafting stuff to your bank, for goodness' sake! actually, that brings up another question: why have the button? why not just teleport it when you get it straight to the bank?). i will say that it's something i immediately missed, and i hope they come to their senses and let you just mail things to yourself or else we'll all be using fellow guildmates as fed-ex. What is the difference between pressing the "mail" icon and mailing or trading something to someone? none. and yeah, it would be redundant. i don't care if they change this one or not, but it just "feels" weird to mail something to someone right next to you. that is both awesome and annoying! it's like everyone gets your "battle tag" that blizzard is doing. i can see the advantages, but sometimes it's nice to just hide away on an alt as well. can you set yourself as "invisible?" also, i'm not sure what good it is to have another character auto-join a party, since they'll likely be a million miles away? or can you instantly teleport to your party mates at any time? also, how do you friend someone: do you need to know just a character name or do you need their guild wars name (with the 4 numbers after it)? just curious! also, when you join a guild, does that join up every character or do you still have to join with each individual character? i know you can join however many guilds you want and change who you "represent" whenever you want, which is pretty cool. From what I have read they will not be wiping the game, they will only be wiping your characters. right - my question only made sense if "friends" were character-based. still very excited about this game! the one thing they absolutely nailed was the whole "i am happy to see other players" instead of "i dread competition for kills and resources." granted, it's still possible for other players to kill a target so fast that you cannot even help, but that is almost always immaterial. last night i was playing during an event deep in a cave where we were fighting a boss, and there were about 6 or 7 players, and we ALL died at some point but we kept reviving each other and helping out! it was hilarious, and we finally managed to kill the boss! that is impossible in WoW! no idea what that means. is that "both awesome and annoying?" 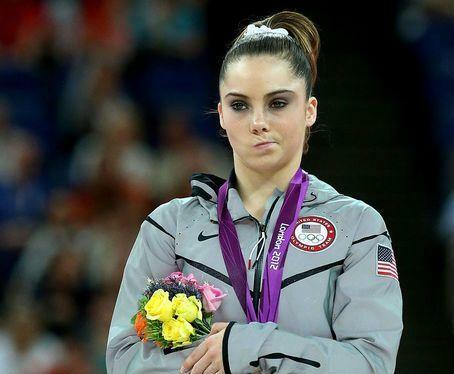 That my friend, is the offical "not impressed" meme. The banks are conveniently located in capital cities, crafting stations and world v. world areas. There are also waypoints nearby to make for easy travel to them. In my opinion, they built these beautiful, expansive cities for a reason.... to spend time in them and be a part of the community. To use the bank and all the other amenities. The development team has given us a lot of nifty features, like being able to send materials to your bank while your out exploring and adventuring. But yes, at some point you need to go to town to connect to "civilization". They spent years developing this game, while working on and through Guild Wars. They have experience with the social aspect that players want to be a part of. I don't think swtor really got a handle on that in some areas. You could have the big nice looking ship, but never had another player on it. That was really disappointing to me. While I wish we could have air ships, sea ships.. and other things in place right now, it doesn't make the game unplayable for me. From what I have seen in the game over these past months is a well thought out plan and a willingness from the "team" to work with the players and make the game fun and enjoyable. When you log in there is an option to show yourself "offline". You can play and hide yourself from everyone. Don't forget the GW2 wiki has tons of information on there to answer your questions too. The no face-to-face trade is a real decision and it’s primarily a question of trust (as many of you have noted). But it’s also a decision to protect players from scamming and protect the economy from black-markets. Let’s run through some quick examples. 1) Give something to my friend. – As several of you noted, target your friend, right click the item and select ‘mail-to…’. Done, this works in contact list, guild list, or in world anywhere without having to ‘meet’ them or ‘catch’ them. 2) Get a fair price for an item (anti-scam). – Because ALL trading goes through the trading post we can guarantee that highest bidder meets lowest seller and we can give every player the benefit of current market information. 3) Barter item-for-item. This is the grey area and also the most risky kind of trade because even with UI many items look alike in icon and many social engineering scams take place in this kind of system. It’s a risky trade environment which is why when you support it you have to have these multi-stage UI’s where everyone double-checks everything, and then eventually get’s lazy and stops double-checking and gets scammed anyways. In the end we decided with super easy access to mail for trusted trades and trading post for untrusted trades that such a system wasn’t worth the risk, complication, and fragmenting the player market off of the trading post.. In testing we’ve found that mail is easier 90% of the time we’d want trade and the other 10% trading post is far safer and avoids drama and thing like random trade windows being thrown at you and lots of other unsavory hawking in game. oh i completely understand and agree with all the reasons to have a "mail to" for all trades - it does make a lot of sense. it still just "feels" weird, from an RP perspective. "yes, i notice you are two feet from me, but let me go ahead and package this up for you, put it on this little bird, and, ah, i see, he flew into your eye. maybe back up a little next time?" in the end i'll agree it's the best way to go. it just ...well, i can't come up with anything better than "feels weird." i'm sure i'll forget to notice it within a few hours. it's also nice to know they really put a lot of thought into the decision. i completely support the idea of "cities as hubs" as well, and i hope it works out! i agree that TOR needed more of that, somehow. i'm still not sure i see where not mailing items to yourself makes a difference to that, though, when you can mail anything to anyone else at any time and teleport all your crafting stuff back to your bank. but as a compromise i promise not to make you my personal fed-ex, jaz. thanks a bunch for the other info! the wiki is a great source, you're right: it's just really tricky to search for something unless you already know what it's called.